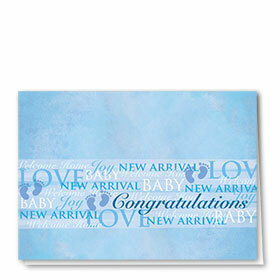 There is no happier moment than the dawning of new life. 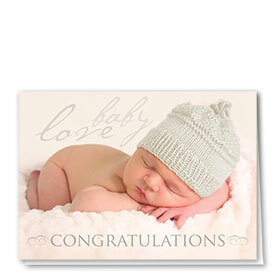 Doctors and nurses continually revel in the joyous occasion and share the excitement right along with the happy parents. 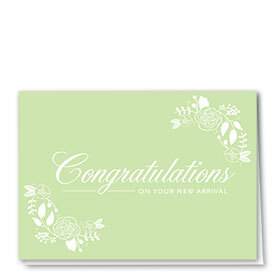 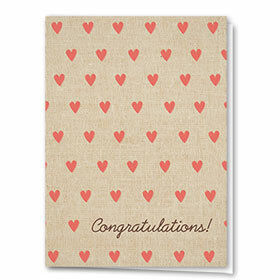 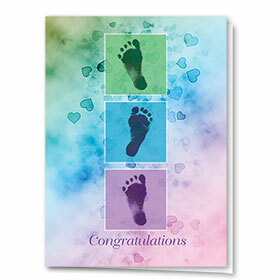 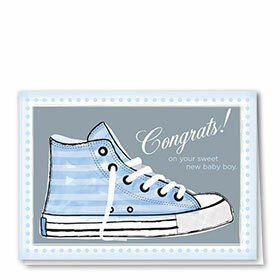 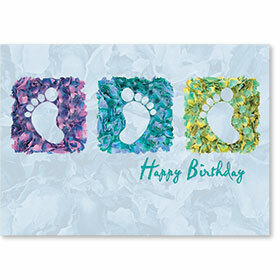 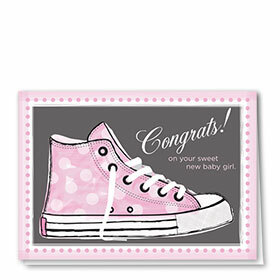 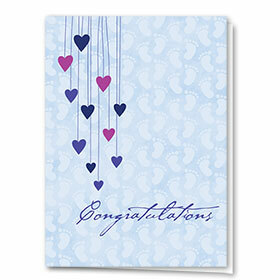 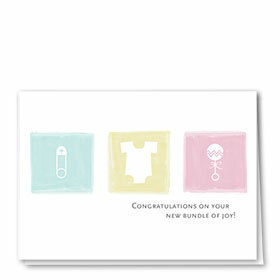 Show them your indistinguishable joy with our new baby congratulations cards. 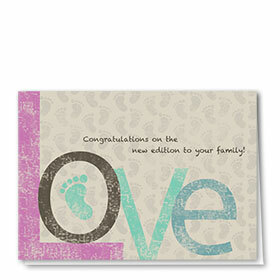 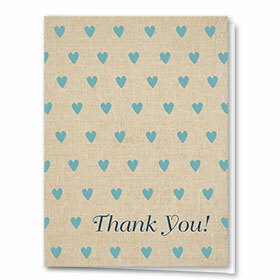 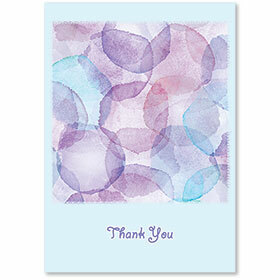 These new baby cards express your heartfelt emotions in the most perfect way. 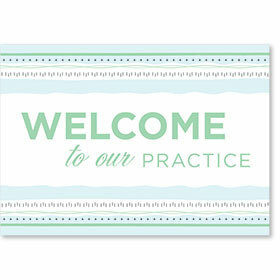 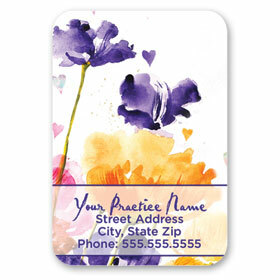 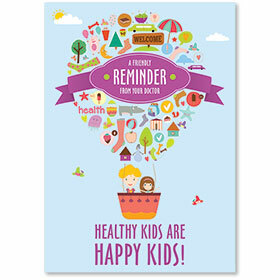 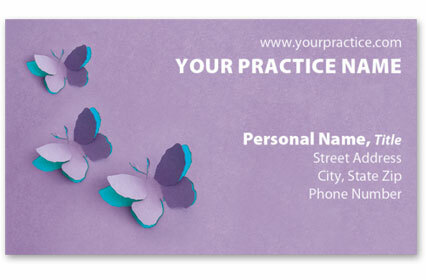 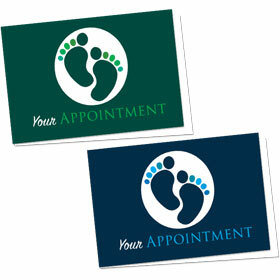 Each design features inside printing of your choice of message and office information. 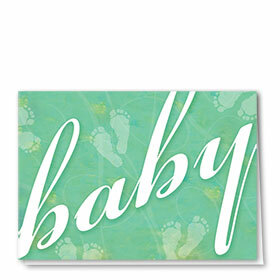 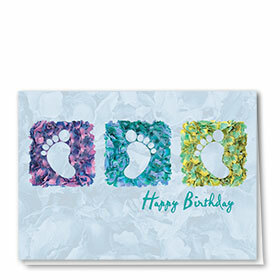 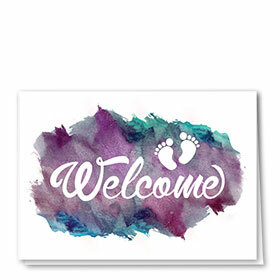 Choose from a variety of envelope colors and receive free return address imprinting when you order 200 or more new baby greeting cards.